Sweet Shutters and Shades was asked to install shutters on this beautiful home in the Trilogy development of Denver, NC. 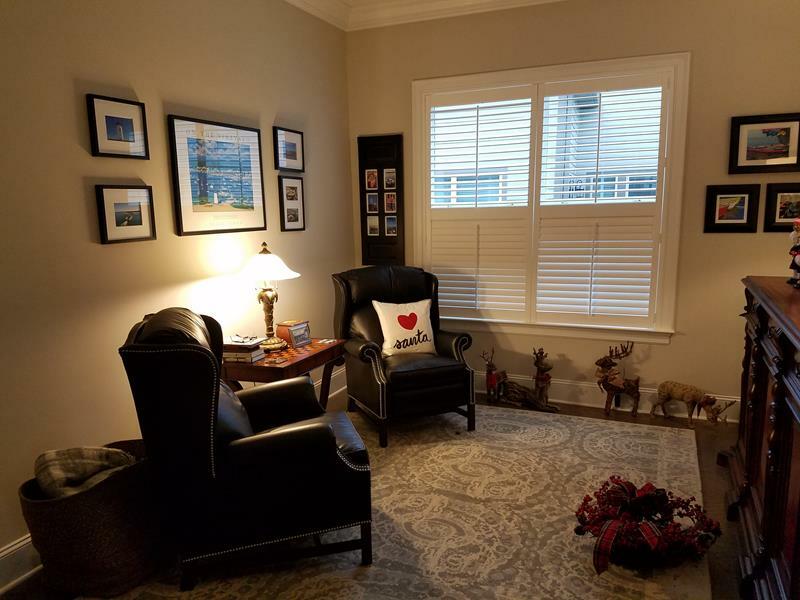 The homeowner needed window treatments that complimented the beautiful architectural crown molding of the walls and window casings. Our designer had a lot of fun helping the homeowner choose beautiful new plantation style shutters for all 19 of their windows. The comfortable, warm atmosphere of the home is perfectly complimented with shutters that add to the design style. 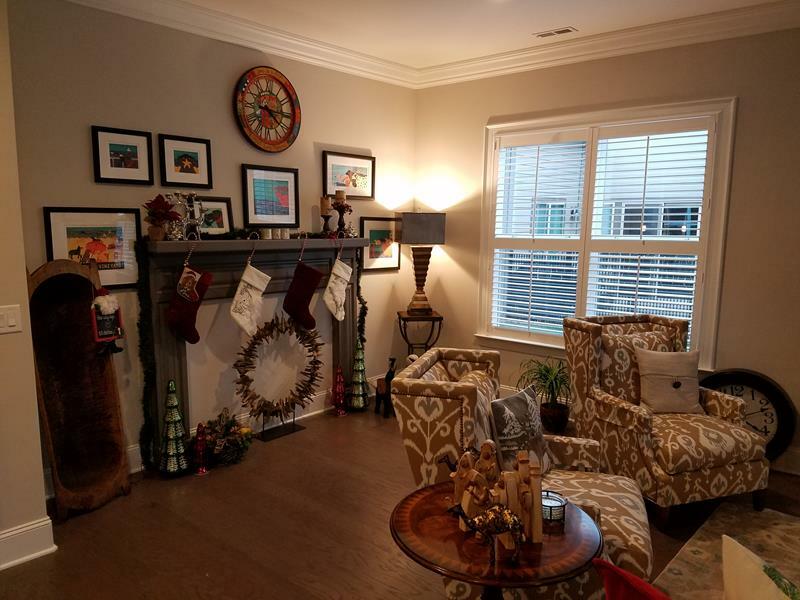 Note how they go so well with the wall colors and don't take away from the warmer tones in the furnishings and carpeting. 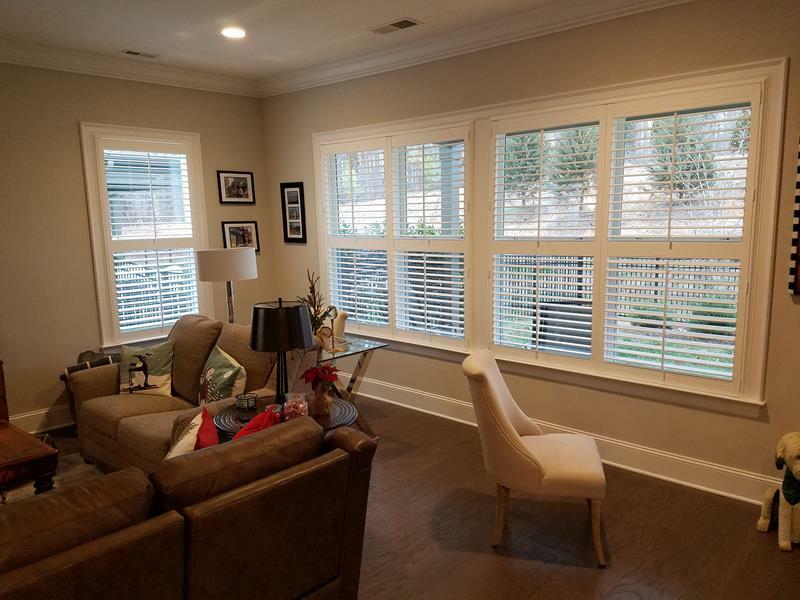 As always, our quality made shutters and other window treatments are custom made to fit each window and installed by our installation experts. If you need Shutters for your project in Denver, NC , please call 704-980-4303 or complete our online request form.